Display of Caswell Impressions at Sauder Village, to the left. A great showing at the Sauder Village Rug Event! 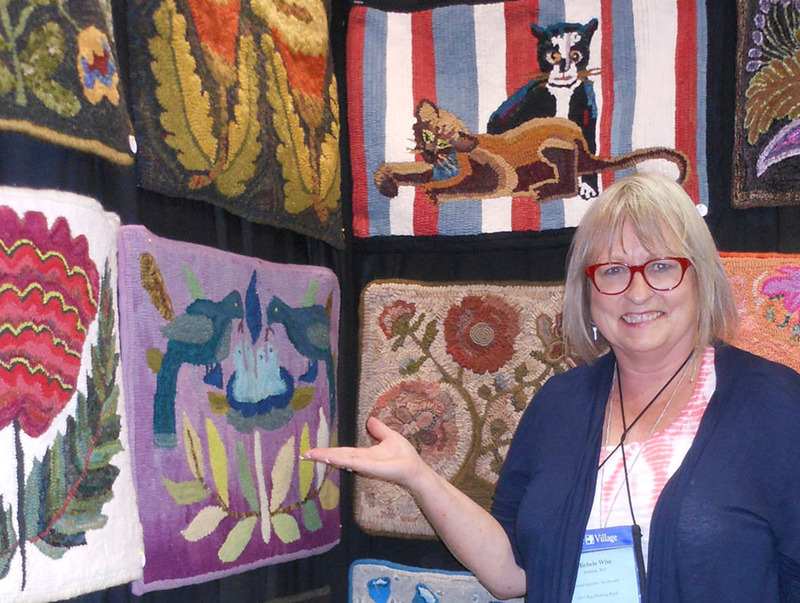 I wondered how Kathy Wright would manage to show all 78 rugs… they were all together, side by side and wonderful! I received many kind remarks about the collection and want to pass that on to all those who participated. 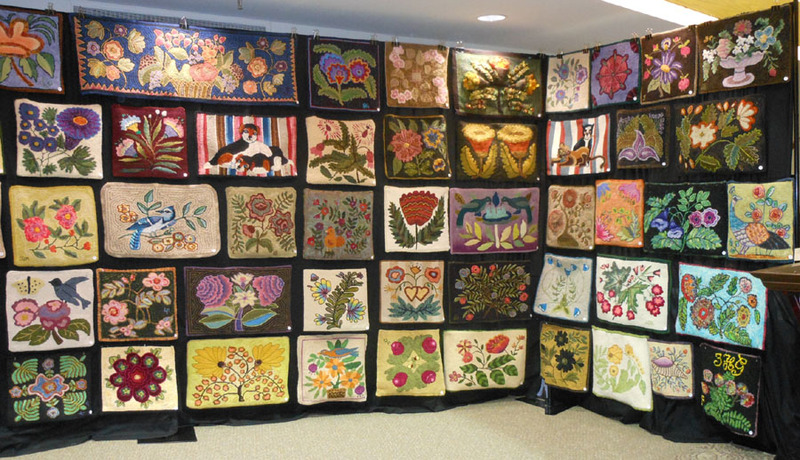 Julie of Searsport Rug Hooking was at Sauder Village and took a movie of the exhibit… fun to see if you’re on facebook. She sent me a copy, but I can’t post it here. Barbara Larsen with her Caswell Impression in blue and gold. 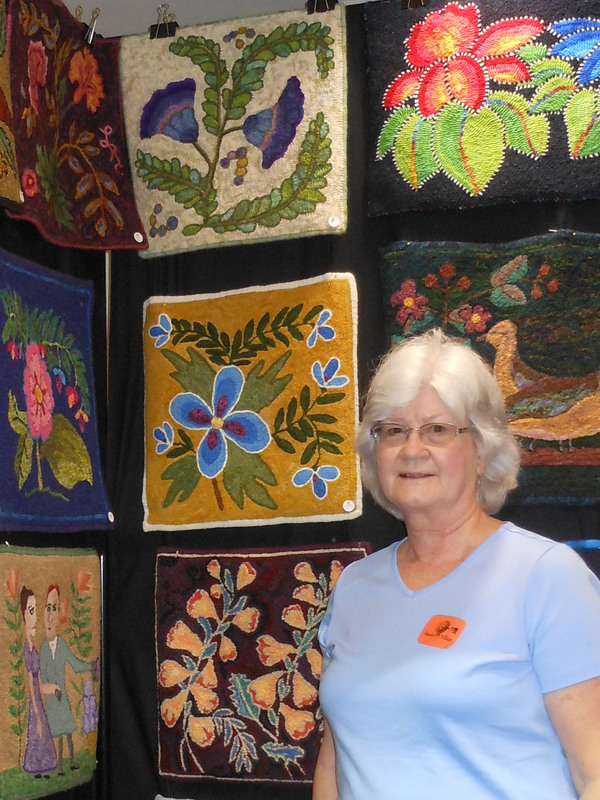 Barbara was my Sherpa and helped me bring the Caswell Impressions collection to Ohio. We had a great trip together; meeting in Detroit, driving to Archbold, staying at the Sauder Village Inn, visiting and participating in the Rug Event, exploring the dining options of Archbold and at the end of our visit, a quick trip to Detroit Institute of Arts! Beautiful building, fabulous art collection and a delicious sandwich too! Detroit Institute of Arts. 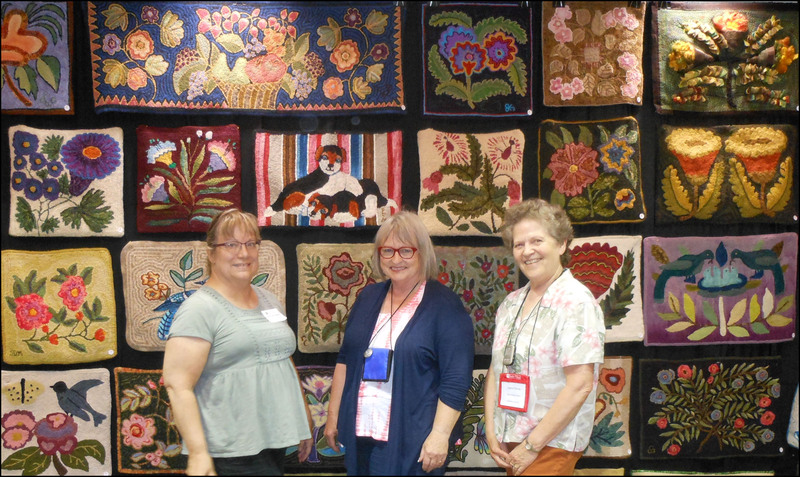 Katie and Michele from Washington State, hooked rugs for the Caswell Impressions. Other participants of the project were there, but we didn’t have the opportunity to take photos together. 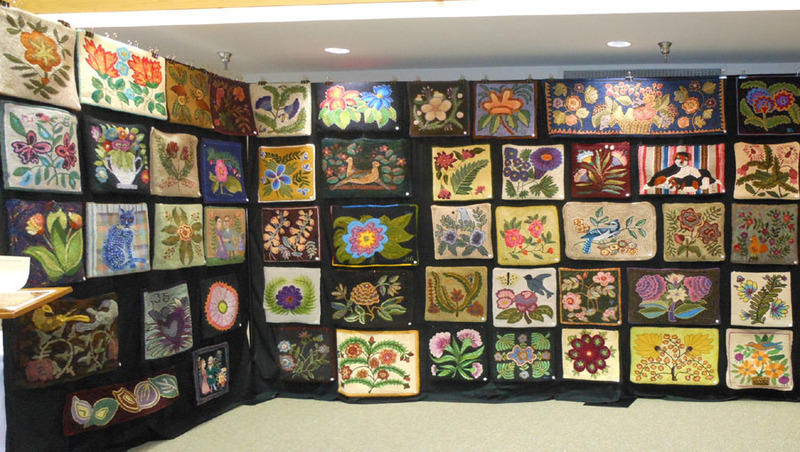 It is a busy and exciting week at Sauder Village; always lots of rug hooking friends and beautiful rugs to see! Katie hooked her Caswell Impression with textures. 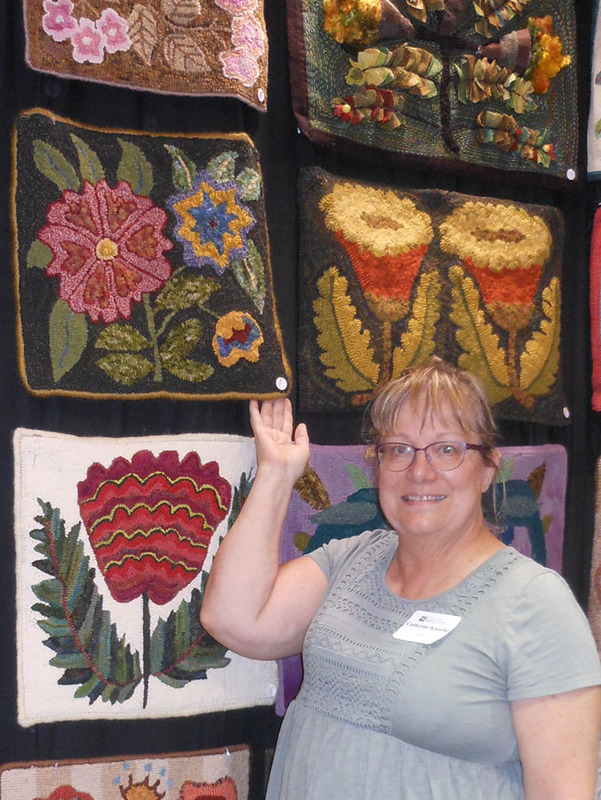 Katie’s twin sister attended Sauder Village Rug Event too, even though she’s a quilter. She helped us with the group photo. Michele Wise was involved in a colour class when she hooked her Caswell Impression; she challenged herself to hook the subject from dark to light and her background from light to dark. It makes an interesting rug! 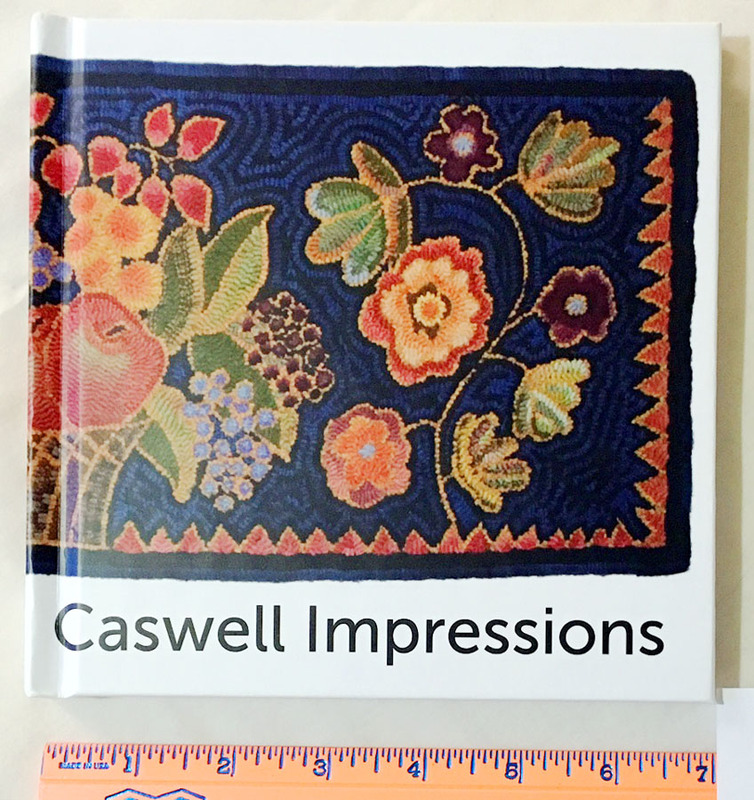 Caswell Impressions; a little book of the all the rugs. I produced the book through Blurb.com and have ordered several small batches. I still have a few available at $45, so let me know if you’d like to purchase a copy. Hi Laura, would love to buy a copy of Caswell Impressions. Hi Suzanne, I’m on my way out of town, to teach at Prairie Harvest Rug School. I will mail out books upon my return after September 23. The book is $45, so if you’d like to purchase it, please send me your address and phone #. I’ll mail the book with a sales receipt and you can then send me a check. email me at Lwpierce at Comcast.net. 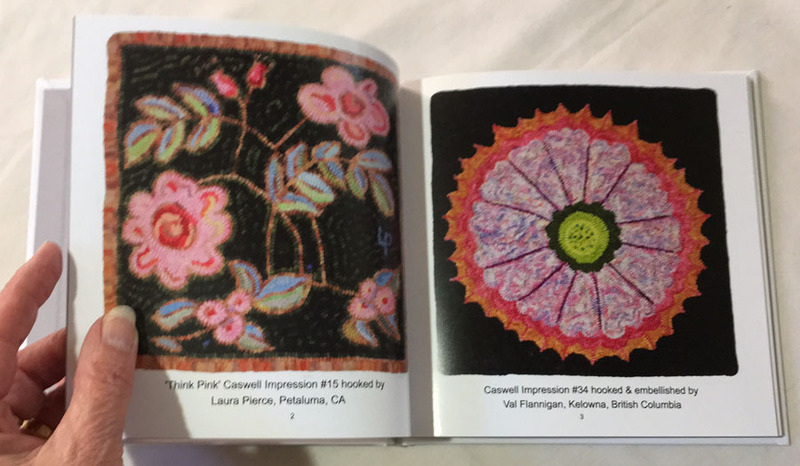 I would love to purchase a copy of your blurb your created for Caswell Impressians. I would like to purchase a copy of your book. I will send you an email as requested in previous response. Thanks. Thanks for sharing Laura. Wonderful to see again! !